63 Bat brush logos seen throughout his 70 years of publication in the various print, moving pictures, and merchandising adventures. With a few exceptions (notably the 1966 TV show logo and some of the batsignals), I've limited the bat brush symbols to those exclusively seen on Batman's chest in print, television, movies, toys, and video games. 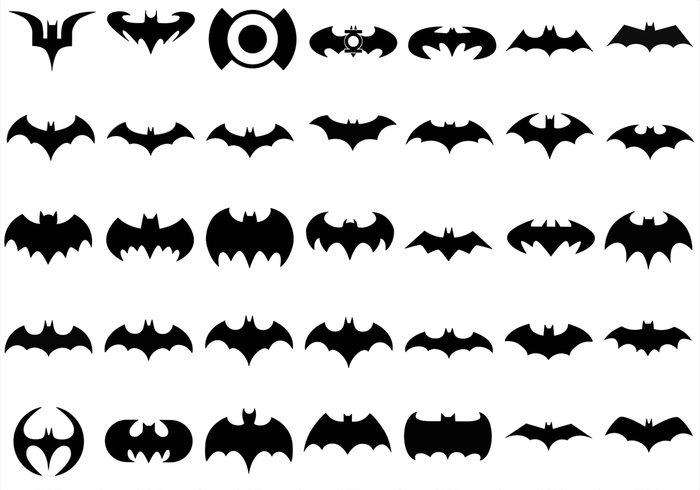 There are some bat brush files which appear to be the same symbol, but they are indeed variations due to different costuming designs or even artist's interpretation. Loads of bats, thank you from a batty person, lol.